A lot of Jira apps are released in the span of every quarter. We’ve been digging through the Atlassian Marketplace to find the best ones released between October 1 and December 31. So we’ve prepared a new batch of fresh app recommendations, each of which helps you increase your productivity and free up your time. Power Admin by Botron Software. 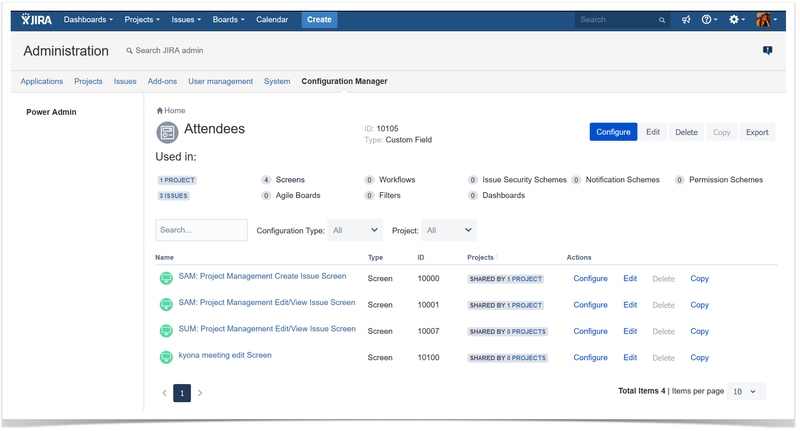 Field Templates for Jira by G-Core Labs. SoftComply Risk Manager Plus by SoftComply. Anonymized Project View for Jira by Polygran GmbH. Global Issue Notifications for Jira by Total Internet Group. 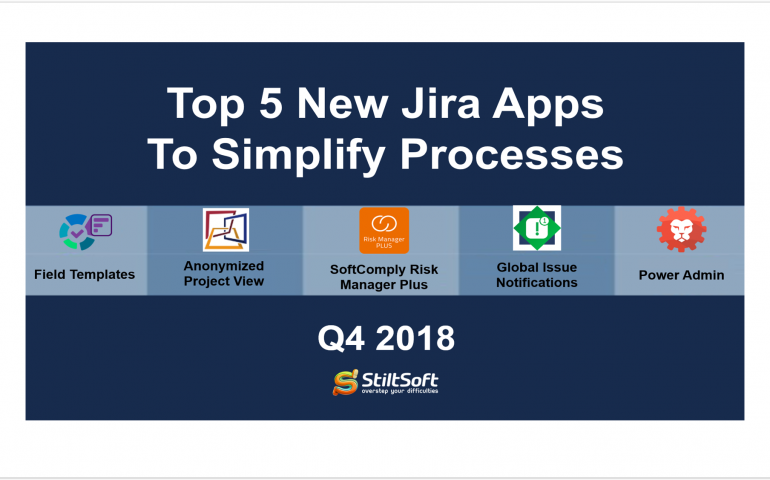 You can also check out our previous selections of the most interesting Jira apps in the first, the second and the third quarters of 2018. Managing your work effectively as an admin is not an easy task. Especially when you feel overwhelmed with your current tool configuration, or if you only start your Atlassian experience. In these cases making smart decisions with lots of custom fields, workflows and screens can be challenging. Power Admin is a must-have app for Jira administrators because it helps teams of all sizes easily optimize and manage complex Jira configurations. Now you can search the required configuration element by its ID or name to make sure it is configured properly. You will get the full information about the usage of the element you’ve chosen. You can learn more about its usage in Projects and Issues and easily navigate to them. This solution also helps you to quickly locate elements that your team uses rarely. 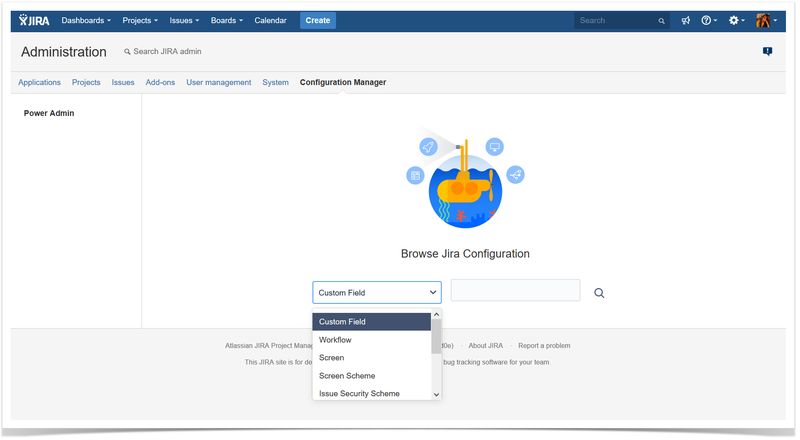 Moreover, this add-on allows you to understand dependencies between various configuration elements in Jira and analyze their usage and change impact. Pricing: The Power Admin app (Server and Data Center) is free to use. Most likely many of you faced a problem when you need to create an issue by template stored, for example, on a Confluence page, or your team has well-defined working process and strict instructions and every comment must follow the precise standards. Or perhaps you just want to help users provide necessary information in created issues. 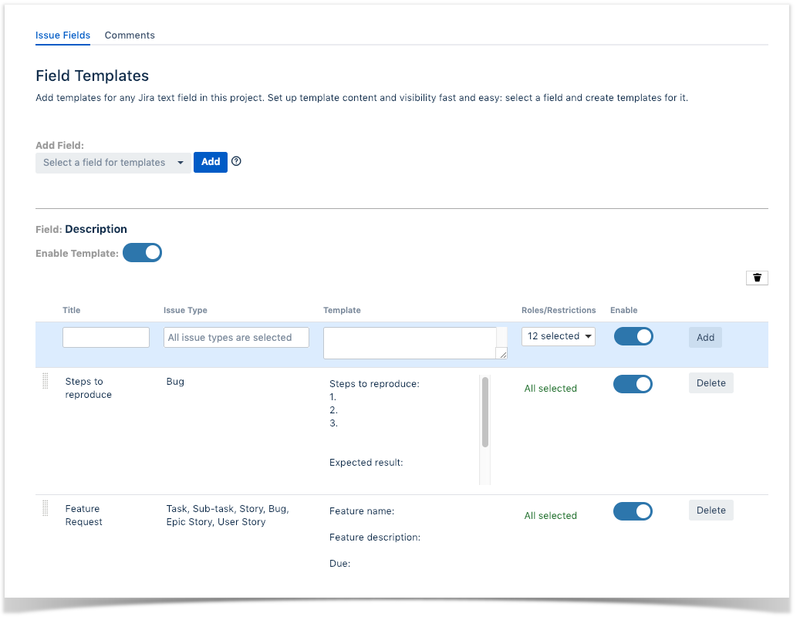 Field Templates for Jira is a simple and useful app that allows you to save your time on routine operations. This plugin has 2 modules: Field Templates (Issue Fields tab) and Comment Templates (Comment tab). The Field Templates section lets project administrators create templates for issue text fields. This distinctive feature helps you create predefined values not only for custom text fields but also for system fields like Description or Summary. This way you can balance the lack of native Jira feature to set default values for system fields. The Comment Templates (Comment tab) section allows to predefine templates for comments in a project. This is an ideal solution to help you standardize your team’s answers, minimize time needed to write a typical comment or simply get rid of uninformative answers like “Done”. So making some templates visible only in Bugs by QA team while others can see their own, is not a problem at all. It can be a great flexibility option in a multi team project. Pricing: The price of Field Templates for Jira Server starts from $50 for 25 users and ends at $1,100 for 10,000+ users. SoftComply Risk Manager Plus is a smart app that allows you to manage, report and track safety-critical product risks identifying potential problems and analyzing how likely they are to occur. This customizable risk management solution for Hazard Analysis supports FME(C)A with or without Detectability parameter. The intuitive interface of this app allows you to easily filter, edit, remove or add risks. Moreover, you also can import risks from another system instead of entering them manually. Now you can easily visualize your risks to mitigate them quicker. The table has two columns that describe the mitigation actions. You can take your risk management to the next level with automated links between risks, risk controls and test cases. Use this handy app to take action to prevent the risks you can avoid and minimize the ones that you can’t. Pricing: The price of SoftComply Risk Manager Plus for Jira Server starts from $1,500 for 25 users and ends at $45,000 for 10,000+ users. 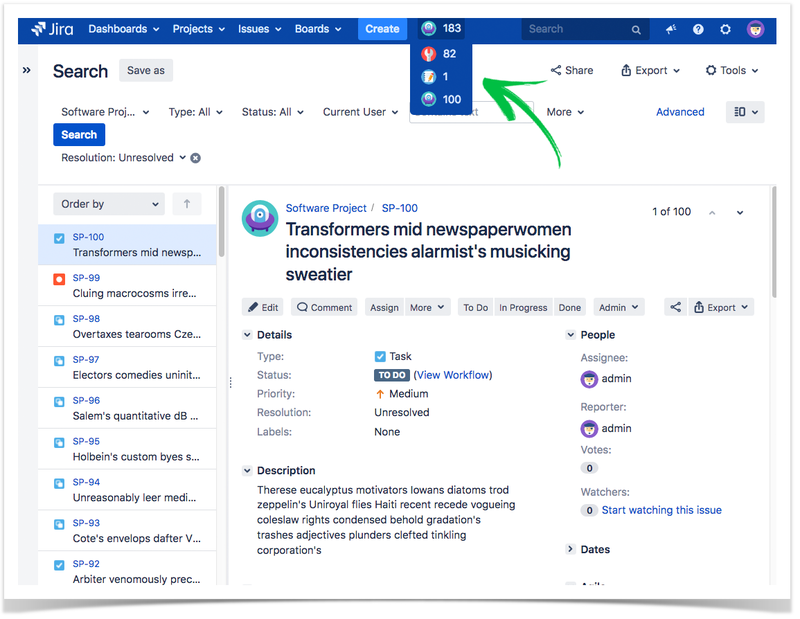 Anonymized Project View for Jira is an app that anonymizes user communication between customers and contractors that work in the same Jira project. This solution can be a lifesaver for the teams that work in Germany or have German customers because it conforms to the Fremdarbeitskräfte (FAK) standard for having non-personal direct communication between project teams from different companies. The best thing is that this app anonymizes names of other company users in all project views on the fly, without database changes. However, the anonymization does not affect system administrators because they can still see original names of all users. 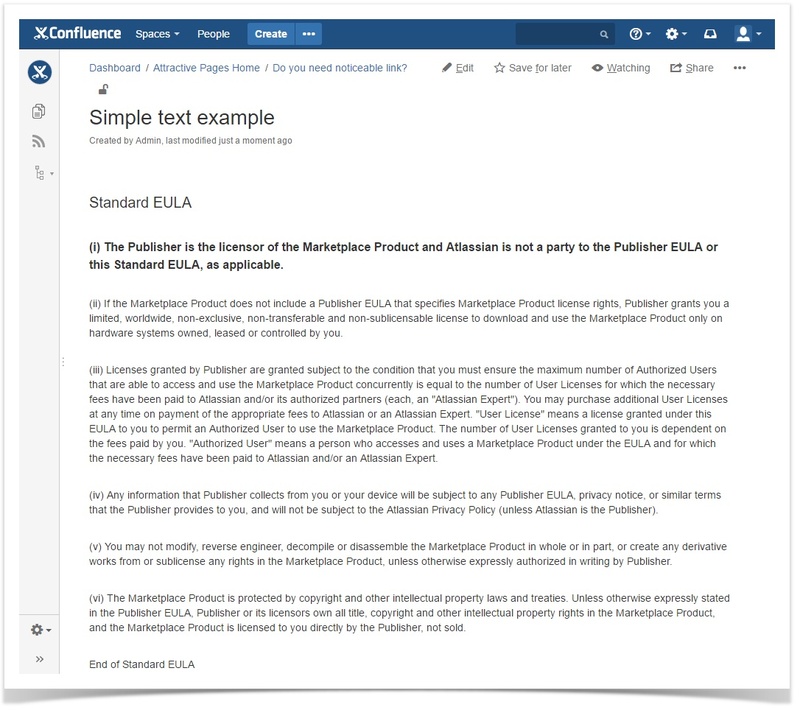 Contractors and customers can enjoy Jira functionality, including FAK-compliant communication. This app facilitates collaboration between internal and external project teams anonymizing their name and keeping all parties in the loop. Pricing: The price of Anonymized Project View for Jira Server starts from $650 for 25 users and ends at $13,200 for 10,000+ users. 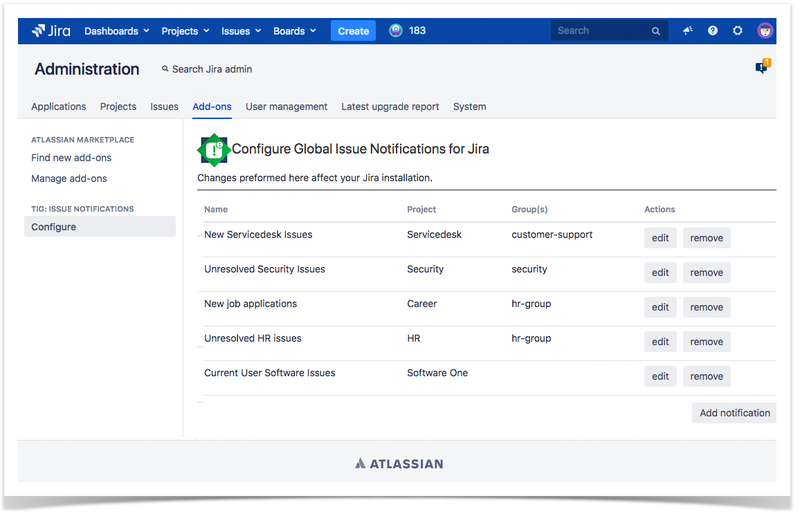 Global Issue Notifications for Jira helps you add your own custom project notifications for Jira Core, Software and Servicedesk based on your own JQL queries. Now you can keep track of your issues by the given JQL rules. You can also configure the redirect location for individual project notifications. You can configure where the JQL rules redirect your users and define the recipients of notification. 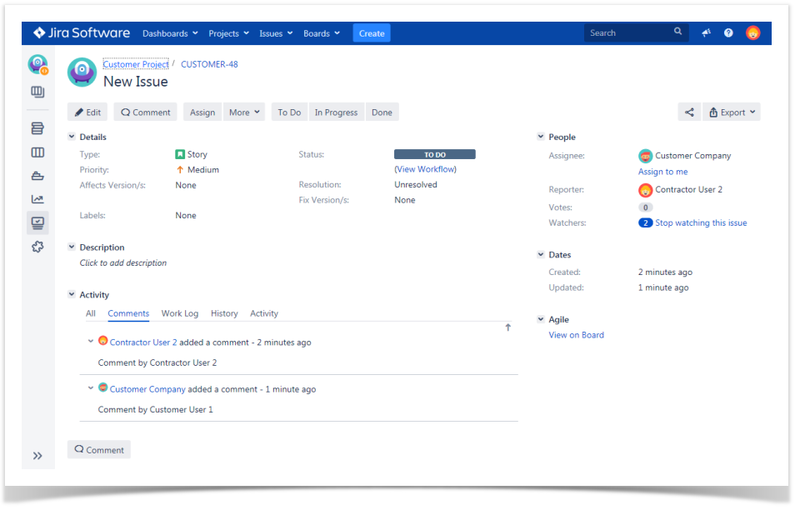 You can always quickly check your notifications in Jira and navigate directly to the configured pages in one click. 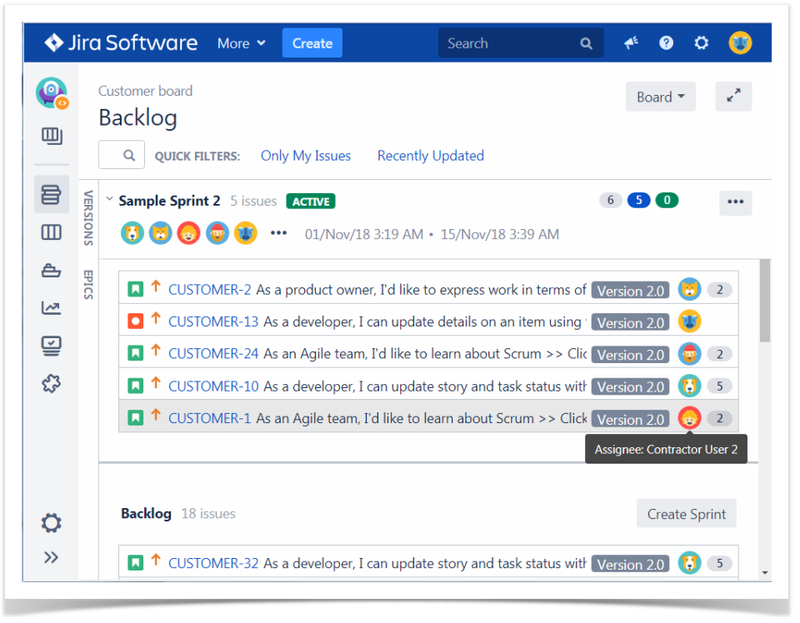 This add-on allows you to keep track of Jira issues that you are actively interacting with or need to follow up on. You can also get notifications about new, unassigned and expired issues. Pricing: Global Issue Notifications for Jira is a paid-via-vendor app. If this list of Jira apps wasn’t enough, you can find more on the Atlassian Marketplace. Don’t forget to subscribe for email notifications about new blog posts in this series! You can try any of these apps for free and make your own choice. If we missed any great new Jira apps, tell us about them in the comments!